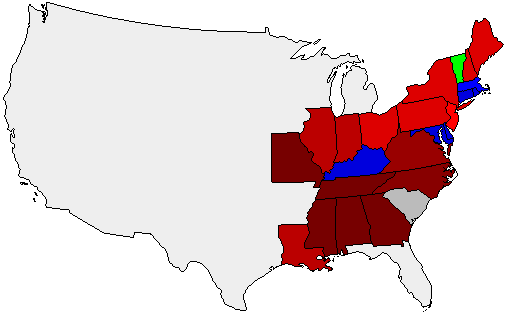 Democratic electoral votes were cast for two Vice Presidential Candidates: Martin Van Buren (189) and William Wilkins (30). Two Electors from Maryland did not vote. Electors from the state of South Carolina were appointed by the state legislature (and not elected in a popular vote).